Temari means “hand-ball”. In early Japan, the playtime favorite was made by tightly winding and stitching threads into intricate patterns. 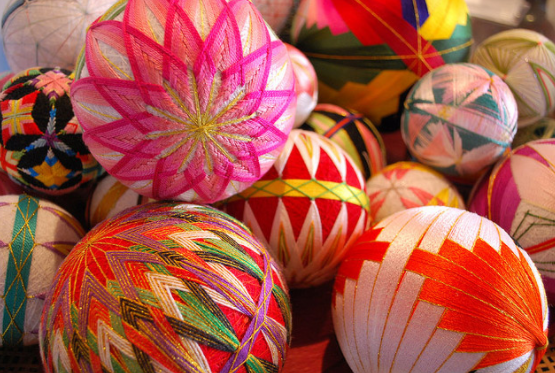 Today, the art of temari is considered an Oriental folk art and they are given as good luck charms. They come in a range of shapes, sizes and designs. Like other Japanese artforms, temari often mimic patterns and colors in nature. Kaleidoscopic designs are also very popular; they show off bright colors and stylish stitch work. Ancient temari making is one example of repurposing used clothes. Temari first developed as a way to recycle old kimonos. 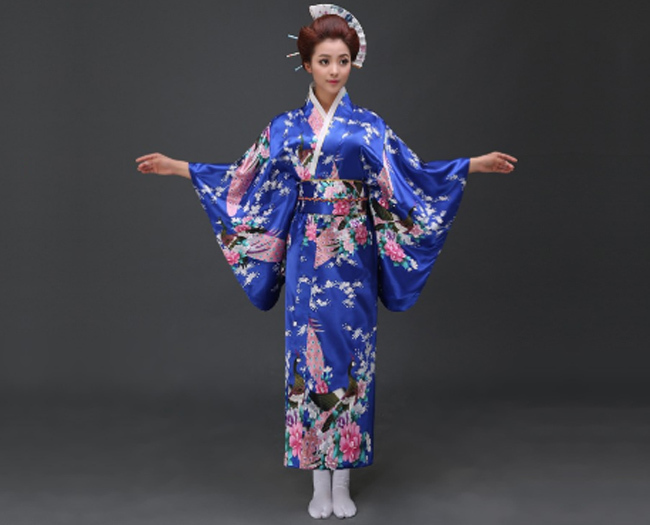 Kimono – traditional Japanese dress – fabric was very expensive and well cared for, so people found they could reuse the stitching. The balls decorated weddings celebrations, and they were sometimes given as gifts. During the Edo period (1600-1868), maids made them as toys for young girls. Over time, the designs grew and crafters started stitching ornaments, such as small bells unto the balls. Creating temari can be highly addictive! Once you start stitching and your piece takes shape, your imagination begins to run wild with creative possibilities. 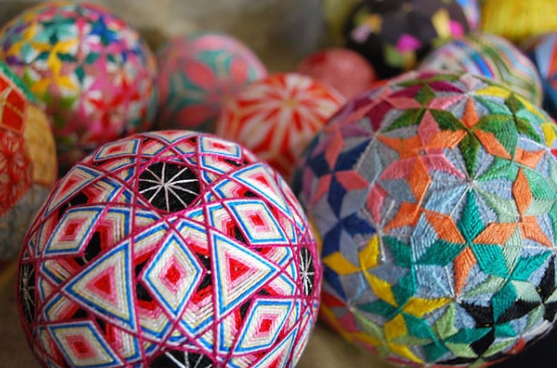 Even though you can use simple and inexpensive materials to make Temari, you’re participating in a thousand year old tradition each time you make one. 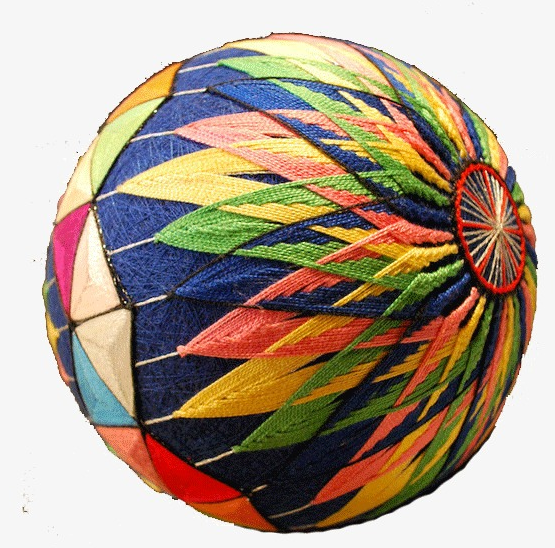 You can also use styrofoam balls or light toy balls inside a temari for ease. We want to see what you come up with. Don’t forget to share your pictures with us! Use the form below or tag us @ArtsmithNY on Twitter, Instagram, and Facebook and use the hashtag #ArtsmithJABS.